I remember my college days like a blur. With a stacked class schedule, heavy participation in athletics and student life, there was precious little time to think about healthy eating. My commitment to an ultra clean lifestyle came a couple of years after graduating when all of the residual impacts of not making nutrition a priority began to show their ugly faces. My first year of higher education was spent in the dorm, squished in a little room without access to a kitchen. This made me a victim to whatever was being served in the student cafeteria, fast food and — of course — the infamous and very cheap Ramen noodles. I spent many a late night studying into the wee hours with my coffee and instant noodles there to comfort me. After all, they were so cheap and easy to make. Pop them out of the package, into a bowl and pour hot water over the top! Today, some 30 years later, I sadly still see Ramen noodles as a staple in the lives of college students and others pressed for time. They are contraband in my house but not everyone knows the truth behind these insanely unhealthy processed noodles. Let me enlighten you! Here are just a few reasons why Ramen noodles deserve no place in your pantry or dorm room! Ramen noodles may increase your susceptibility to metabolic syndrome. 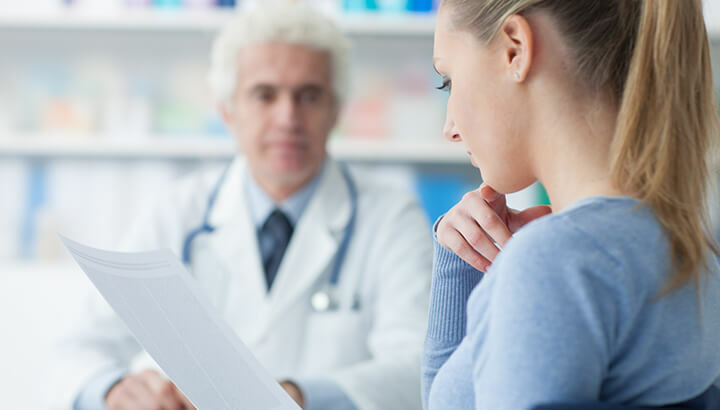 Most women have enough trouble managing the natural ebb and flow of their hormones. When you add instant noodles to the mix, you are really asking for trouble. A study published in the Journal of Nutrition in 2014 studied the diets of 10,711 adults aged 19 to 64. One of the key findings of this study was that women who consumed instant Noodles two or more times a week were more likely to suffer from metabolic syndrome. Metabolic syndrome is a blanket term for a cluster of risk factors that significantly increase your odds of developing heart disease and other chronic ailments. While it may seem complex — and there are a lot of factors in play — there is one thing you can do from now on that will greatly diminish your susceptibility to this condition: eat real food. According to the National Institutes of Health (NIH), there are five main risk factors that characterize metabolic syndrome. They are high fasting blood sugar, high triglyceride levels, low HDL (“good”) cholesterol, high blood pressure and visceral fat (a.k.a. belly fat). Having three or more of these risk factors may be indicative of metabolic syndrome. The NIH also states that individuals with metabolic syndrome have approximately double the risk of developing heart disease, and about five times the risk of developing diabetes, than that of individuals who do not have metabolic syndrome. The styrofoam packages that the noodles are packaged in contain a chemical called bisphenol A (BPA). Heating up products that have BPA can cause it to leach into the product and you may end up consuming some. In addition, the temperature of some products when packaged is high enough that the risk of BPA leaching into the product is significantly increased (this is particularly a problem for BPA-lined containers). Ramen noodles contain 875 milligrams of sodium per serving. Just one serving of Ramen noodles contains 875 milligrams of sodium. This eats away pretty quickly at the recommended upper limit of sodium intake daily of 2400 milligrams. Too much sodium causes blood pressure to increase because it holds extra fluid in the body and puts a tremendous strain on the heart. 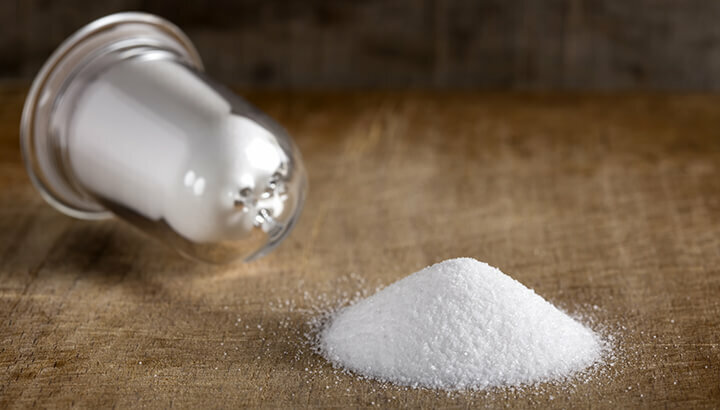 A diet rich in sodium greatly increases the risk of a number of deadly conditions including stroke, heart failure, kidney disease, stomach cancer and osteoporosis. If you eat instant noodles you are consuming TBHQ (Tertiary-butyl hydroquinone), often listed in ingredients as an “antioxidant.” What most people don’t realize is that this is a synthetic chemical with antioxidant properties, not a natural antioxidant. It is used because it prevents oxidation of fats and oils, which extends shelf life. Ramen noodles contain MSG, a toxic ingredient that is highly addictive. If you avoid Ramen noodles for just one thing, it should be the MSG. Monosodium glutamate (MSG) is one of the most toxic ingredients in our food supply. Commonly known as “the flavor enhancer,” MSG is a neurotoxin. To some, it can be highly addictive. MSG is found in a large variety of processed foods, sometimes hiding under alternate names including yeast extract, glutamic acid, hydrolyzed protein and sometimes “natural flavors.” It appears frequently in frozen foods, salad dressings, crackers, packaged instant noodles, canned soups and processed meats, to name only a few. He continues, “Abnormal functions of glutamate receptors has been linked with certain neurological disorders, such as Alzheimer’s disease and Huntington’s chorea. Injections of glutamate in laboratory animals have resulted in damage to nerve cells in the brain.” Ingesting MSG throws off the balance of glutamate receptors in the body, often causing system-wide havoc. MSG has also been linked to many other health problems, including numbness, fatigue, eye damage, headaches, depression, disorientation and obesity. It has also been linked to cancers. It is imperative to your health to stop ingesting MSG, even though you may crave it, and the cravings may be quite strong for some people. Although you may not think it, Ramen noodles are extremely high in fat. In one brick there is eight grams, four of which are saturated. Manufacturers pre-fry the noodles in fat that is often rancid. If you eat a 2000 calorie diet, just one pack of Ramen noodles provides 40 percent of your daily value of saturated fat. Not to mention, this is not healthy fat like that found in avocados or coconut oil. It is bad rancid fat that glosses your arteries and elevates bad cholesterol. What happens when you eat Ramen noodles? The viral video below shows just what happens when a pack of Ramen noodles hits your gut. The video demonstrates that the noodles are extremely hard to digest. This taxes your entire body. Yes they are cheap, yes they are easy, but Ramen noodles or instant noodles of any kind are downright toxic and contain zero nutritional value. If you are a college student looking for brainpower or just love the taste of instant noodles, I encourage you to make your own. Here is a healthy recipe that I adopted after years of Ramen abuse. Enjoy! 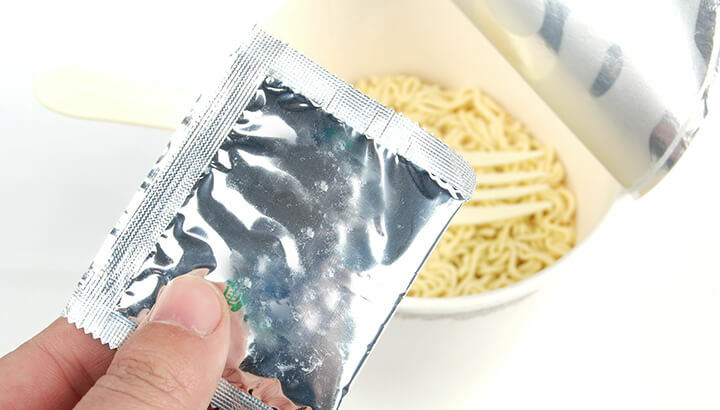 After you taste these delicious noodles, you will never open a Ramen instant noodle package again. Sprinkle chicken breasts with sea salt and place in baking dish. Let chicken cool and cut into 1/2-inch cubes. Heat coconut oil over medium heat and add chopped mushrooms. Saute until brown and soft. Peel the zucchini and cut crosswise. Use a spiralizer with smallest blade and spiralize. Set aside. Add chicken bouillon ingredients into a medium sized bowl. Use a whisk to mix together (you will have extra bouillon to save for something else later). Divide the chicken cubes into 6 pint-sized wide-mouthed jars. Add equal amounts cabbage, sliced greens and mushrooms. Top the mushrooms with 1 tablespoon bouillon powder. Stuff the rest of the jar with zucchini noodles. When you want to enjoy this delicious Ramen noodle alternative, boil one cup of water and pour over jar contents. Let the jar sit sealed for five minutes and pour into a bowl. Yummy and healthy! 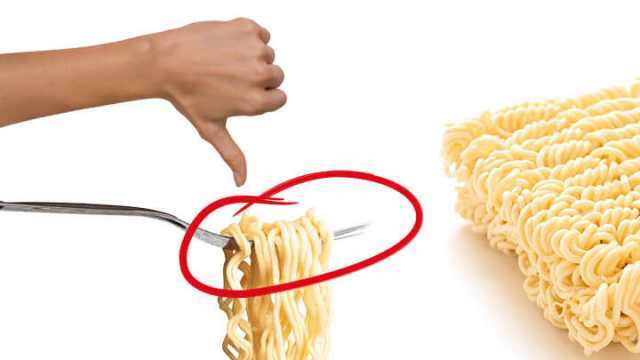 Hey Buddy!, I found this information for you: "Top Reasons To Stop Eating Ramen Noodles". Here is the website link: https://www.thealternativedaily.com/reasons-to-stop-eating-ramen-noodles/. Thank you.